6:35 PM Officers responded to report of a two vehicle accident at 2nd Avenue and Superior Street. Vehicle 1 was going north on Superior Street, near the intersection of 3rd Avenue. Vehicle 2 was stopped at a stop sign. Vehicle 2 then went east, crossing Superior Street and colliding with Vehicle 1. Property damage only. The driver of Vehicle 2 told officers that she did not see Vehicle 1. She was cited for failure to yield the right of way. 6:36 PM Officers responded to an anonymous complaint of an intoxicated pedestrian at an address on 6th Avenue. The reporting person told officers that the male subject was intoxicated and running around, screaming and yelling, and possibly damaging the wall upstairs. When officers arrived, the male subject would not answer the door. There appeared to be some damage to the walls. Officers were investigating for possible charges of disorderly conduct and criminal damage to property. 7:16 PM Officers responded to an anonymous complaint that a male subject on probation had marijuana. The reporting person told officers that he had seen the male subject pull the marijuana out of a cigarette box. He also told officers where the male subject usually keeps the marijuana. Officers located the male subject at a residence on Superior Street. He consented to a search. Officers located marijuana in the male subject’s coat. The male subject was arrested on a probation hold and was cited for possession of marijuana. 11:17 PM Officers responded to a call from an area business on Hwy. 64 reporting a male shoplifter. The male subject was referred for retail theft and felony bail jumping. He was also cited for underage possession of alcohol. 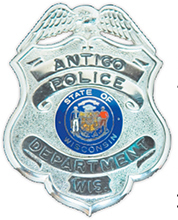 9:46 AM Officers responded to a call from a male reporting that he was just rear-ended in the parking lot of Antigo High School. Vehicle 2 was westbound on 10th Avenue by the high school, slowing for other vehicles to pull into the parking lot. Vehicle 1 was also westbound on 10th Avenue, behind Vehicle 2. The driver of Vehicle 1 said that she had seen Vehicle 2 slowing down and tried to stop, but her brakes locked up. Vehicle 1 slid into Vehicle 2 causing damage to the rear door, bumper area. Vehicle 1 had damage to the front bumper. There were no injuries. 7:10 PM Officers received a call from a male reporting that at 4:00 PM that day, he had received a scam phone call from “WPS billing service.” They tried to get information from him, and then went into sexual things that they were going to do to him. The caller later told the male that they were going to blow him up. The reporting person gave officers the phone number. The reporting male also told officers that his mother had been getting the same types of phone calls. Dispatch advised him to avoid answering unknown numbers and giving any kind of personal information. 10:15 PM Officers responded to a call from a male reporting that he had discovered that his truck had been stolen in February. He told officers that he knew where the truck was, at a male subject’s residence on Cty. Rd. Z in Birnamwood. The vehicle was towed to the city impound. Officers were investigating the incident. 11:10 AM Officers responded to a report from a female that her vehicle had been struck while it was parked outside the Safety Building. She told officers that the other vehicle was still at the scene. The female driver of the second vehicle had pulled into a parking space and hit the reporting female’s vehicle. An accident report was completed. The female driver of the second vehicle was written for re-exam. 2:10 PM Officers responded to a call from a female with Social Services reporting that a male subject had threatened her. Officers immediately located and interviewed the male subject. He was taken into custody for a felony threat of battery to the social worker, felony bail jumping and disorderly conduct. 4:21 PM Officers stopped a vehicle on 5th Avenue. The male driver was cited for operating without a license, possession of marijuana and possession of drug paraphernalia. Another male subject was cited for possession of drug paraphernalia. 5:24 AM Officers took a male subject into custody at the Langlade Hospital on a Langlade County warrant. He was transported to Corrections. 2:21 PM Officers responded to a request from a Probation & Parole employee to arrest a female subject at their office on a probation hold for use of meth. The female was transported to Corrections. 4:12 PM Officers cited a female student at Antigo Middle School for stealing another female student’s shoes around 3/7/18. First, the female denied stealing the shoes, but later she admitted taking them. She had the shoes at her home and returned them to school the next day. The female student had been caught stealing earlier in the year and had been previously warned about her actions. 4:14 PM Officers cited a female student with disorderly conduct for a situation on 3/7/18 at Antigo High School. 4:15 PM Officers suspended two male students from Antigo High School for talking about having guns at school. When questioned, the boys told officers that they had just been joking. Officers explained to them why these situations are taken very seriously. 4:17 PM Officers referred a male student at Antigo High School for criminal damage to property for destroying a Chromebook on 3/8/18. He was also required to pay restitution of $250.00. 5:04 PM Officers executed an Act 79 search at a residence on 5th Avenue after receiving information of reasonable suspicion of drug activity at the residence by a subject currently on probation, parole or extended supervision. A male subject was arrested for possession of meth, possession of drug paraphernalia and a probation hold. A female subject was also arrested for possession of meth, possession of drug paraphernalia and a probation hold. 8:52 PM Officers stopped a vehicle in the parking lot of an area business on Neva Road. A male subject was arrested for possession of marijuana, possession of meth and bail jumping. A second male subject was arrested for possession of marijuana and a third male subject was arrested for manufacture/possession of marijuana and bail jumping. 11:12 PM Officers stopped a vehicle at an area business on S. Superior Street. The female driver was arrested on a Langlade County Sheriff’s Office warrant. 11:30 PM Officers responded to a call from a male on 7th Avenue reporting that a male subject came up to his door, saying “people were chasing him.” The male subject told officers that a female subject had taken his blue Dodge Neon. He stated that he had taken a lot of Alprazolam. He was seeing things and was very paranoid. Officers concluded that the male subject was definitely under the influence. Officers were finally able to determine that the male subject was from Chilton and in town to meet his birth mother. Officers contacted the birth mother and she confirmed the information. The male subject’s vehicle was located and his adoptive parents were contacted to pick the male subject up from the Safety Building. 11:50 PM Officers responded to a call from an employee of an area business on 5th Avenue reporting that a female patron was in the bathroom refusing to leave and was being belligerent. Officers were able to talk the female subject into coming out of the bathroom. Officers gave the female subject a ride home. 10:16 AM Officers responded to a call from an area business on 5th Avenue reporting that two male subject had been there buying two items and they were “jerking around like they were not in control of their bodies.” They left northbound out of the parking lot in a Ford Taurus. The caller gave officer’s the license plate number. Officers were unable to locate the vehicle. 4:44 PM Officers responded to an anonymous report that a male and a female subject, at a residence on Watson Street, were doing meth with children in the house. When officers arrived, no one was home. Officers later made a traffic stop with the individuals. The subjects consented to a search of the vehicle and the residence. Nothing of concern was found and the subjects did not appear to be under the influence of anything. 9:05 PM Officers stopped a vehicle at 1st Avenue and Superior Street. One male subject was arrested on a Langlade County Sheriff’s Office warrant. 4:51 PM Officers responded to a call from an area business on Hwy. 64 reporting a female shoplifter that they had attempted to stop. The female left eastbound on Hwy. 64 in a red Toyota Corolla. Officers sent a teletype to the Menominee County Sheriff’s Office with the information. Officers later followed up with the Sheriff’s office. The female subject had been identified. She was referred for retail theft and felony bail jumping. 6:09 PM Officers responded to a call from a male reporting a vehicle at Mueller Lake that had two people inside that may be using drugs. The vehicle was parked near the gate, off of Polar Road. Officer arrested a female subject on a Department of Corrections warrant. 7:42 AM Officers responded to a call from a male at the Langlade County Airport reporting that there was a vehicle stuck in the snowbank. When calling a towing company to pick up the vehicle, officers learned that a male subject, in his mid-30s had come in at about 6:30 AM that morning wanting to borrow a tow strap to remove a vehicle. The subject then wanted a wrecker, but had no money to pay for it. They also told officers that the male subject was definitely “tweaking” on something. The male subject had been driving a red Ford truck. The vehicle was towed and held. 4:07 PM Officers responded to a call from the Langlade County Airport reporting that one of their trucks had been stolen from the airport that day. It was a 2008 red Ford F250 Super Duty with a black brush guard. They told officers that they had just received a phone call from the Hortonville Police Department reporting a gas drive off at a Hortonville business involving the missing vehicle. An officer with the Hortonville Police Department told officers that a male subject had purchased $340 worth of alcohol from the business at approximately 1:27 PM, but did not pay for the gas. The vehicle was eventually located in Brown County where authorities took the male suspect from Pickerel into custody. 6:00 PM Officers responded to a call from a male reporting that he witnessed a vehicle go into the ditch on Cty. Rd. B, near the intersection with Hill Road. He told officers that he believed the vehicle was a silver Dodge Stratus. The driver was not intoxicated. They told officers that they had hit a patch of snow and ice and slid into the ditch. There was no damage to the vehicle. 9:28 PM Officers responded to a call from a female reporting a vehicle in the ditch at Cty. Rd. G and Cty. Rd. HH with a male subject out by the road. The male driver told officers that he had missed his turn and went to make a U-turn on Cty. Rd. G, but went too far and dropped into the ditch. The male subject was cited for operating while suspended. 1:08 PM Officers responded to a call from a male on Oak Lane reporting that someone had hit the light pole at the end of his driveway. There were car parts lying there. 1:13 PM Officers executed a search warrant at a residence on Fred Street. A male subject was arrested on a Department of Corrections warrant. 1:59 PM Officers responded to a call from a male reporting that a dark blue Chevy Equinox was all over the road on Cty. Rd. A southbound from Pickerel and was now tailgating him near Neva. The caller gave officers the license plate number. The caller also told officers that it appeared that the driver was reading a magazine or something. Officers stopped the vehicle on Neva Road. The female driver was warned about her driving habits. 10:54 PM Officers responded to a call for medical assistance at an area business at the corner of Cty. Rd. A and Cty. Rd. TT in Pearson. The subject was a twelve year old female with pain in the lower lung area. Officers spoke with the female, who seemed to be in a moderate amount of pain. The pain was radiating to the shoulders and her face felt tingly. She told officers that the pain had started earlier that day and had progressively gotten worse. The Pickerel ambulance arrived and the female was transported to Langlade Hospital. 4:45 AM Officers responded to a 911 call from a male reporting that he came upon a snowmobile accident at Clermont Avenue and Industrial Park Road. The caller reported one male subject was unresponsive and had blood coming from under his helmet. The Antigo Fire Department/Medivac was paged. The male subject was airlifted to Wausau Aspirus hospital. Photos were taken and the snowmobile was towed. The last update from the hospital indicated that male subject had regained some movement of his arms and legs. 2:43 PM Officers responded to a call from an area business on Antigo Street in Elcho reporting that they had a fraudulent $50 bill. An employee stated that the bill had come in that day, but no one knew when. Officers photographed the bill. It appeared authentic at first glance. It was a little smaller than a normal sized bill and it had a different feel. The bill was logged into evidence. 11:29 AM Officers stopped a vehicle at 7th Avenue and Edison Street. The male driver was arrested for operating after revocation and drug charges.